The medicinal powers of green tea to cure a wide variety of ailments have been documented for thousands of years. The Replenix line is specially formulated with green tea polyphenols (GTP) – the most potent antioxidant known and the subject of numerous studies describing skin protective, beautifying and related skin care benefits. Therapeutic effects are specifically from the concentrated polyphenol fraction isolated from the camellia sinensis (green tea) leaf. Replenix products are high-end, non-prescription formulas which utilize the whole polyphenol fraction purified to the highest purified form available. The benefits of Green Tea Polyphenols can be found throughout the entire brand of Replenix products. 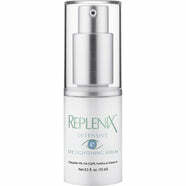 Replenix AE Dermal Restructuring Therapy, 1 oz. Replenix Green Tea Antioxidant Moisturizing Lotion, 6 oz. Replenix Sheer Physical Sunscreen Cream SPF 50, 2 oz. Replenix Clarifying Brightening Polish, 6.7 oz. Replenix Gentle Antioxidant Soothing Cleanser, 6.7 oz. 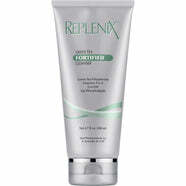 Replenix CF Purifying Antioxidant Foamy Cleanser, 6.7 oz. 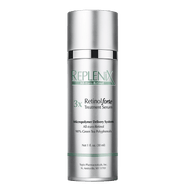 Replenix Retinol Forte Treatment Serum 3X, 1 oz. 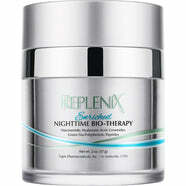 Replenix Enriched Nighttime Bio-Therapy, 2 oz. Replenix Pure Hydration Moisture Balm, 1.7 oz. Replenix Fortified Exfoliation Scrub, 4 oz. Replenix Cream CF (Caffeine Enhanced), 1 oz. Replenix Retinol Forte Treatment Serum 5X, 1 oz. Replenix Retinol Forte Treatment Serum 7.5X, 1 oz. Replenix AE Facial Firming Therapy, 1 oz. Replenix All-trans-Retinol Smoothing Serum 2X, 1 oz. Replenix All-trans-Retinol Smoothing Serum 3X, 1 oz. Replenix All-trans-Retinol Smoothing Serum 5X, 1 oz. Replenix Retinol Forte Treatment Serum 10X, 1 oz. 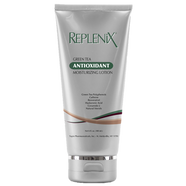 Replenix All-trans-Retinol Smoothing Body Lotion, 7 oz. Replenix All-trans-Retinol Enriched Eye Repair Cream, 0.5 oz. Replenix Gly-Sal 2%/2% Acne Medicated Cleanser, 6.7 oz. Topix Replenix Pure Hydration Hyaluronic Acid Serum, 1 oz. Topix Replenix Ultra Sheer Sunscreen SPF 50 2 oz. Topix Replenix UltiMATTE Perfection SPF 50 1.6 oz. Topix Replenix Replenix Retinol Forte Treatment Serum, 1 oz. Replenix Pure Hydration Plumping SPF 30 Lip Treatment, 0.14 oz.